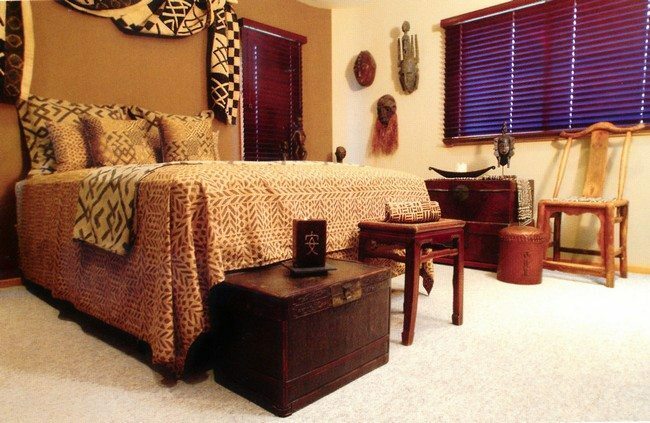 African art and décor has a way of making one feel closer to nature, especially when used in the interior design of homes. 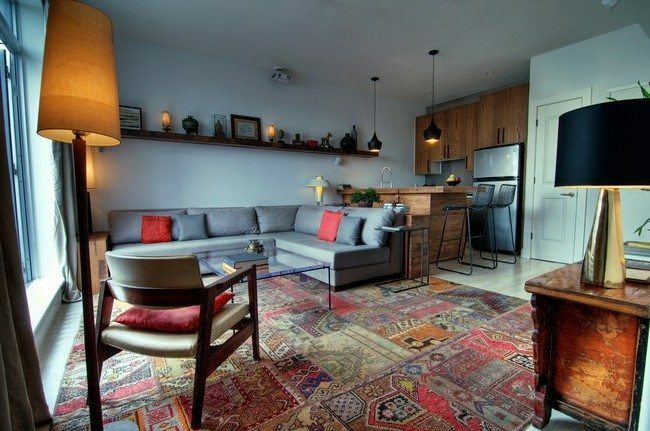 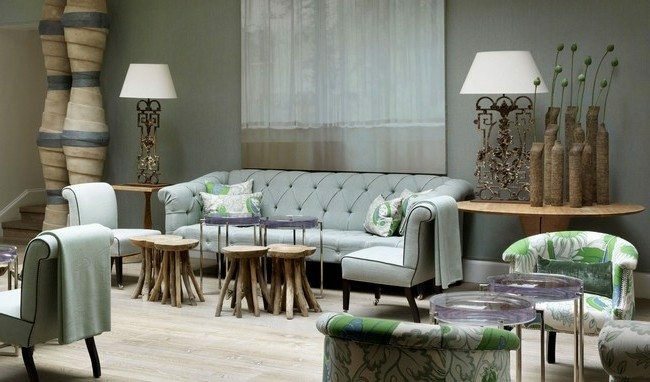 This design style sets off a warm and relaxing atmosphere in the feeling and is quite simple to achieve. 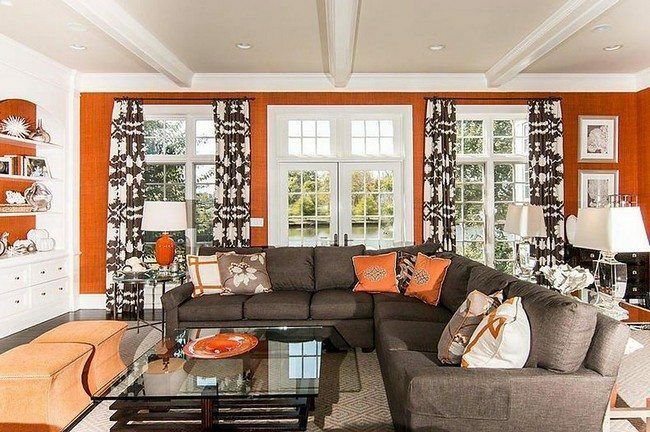 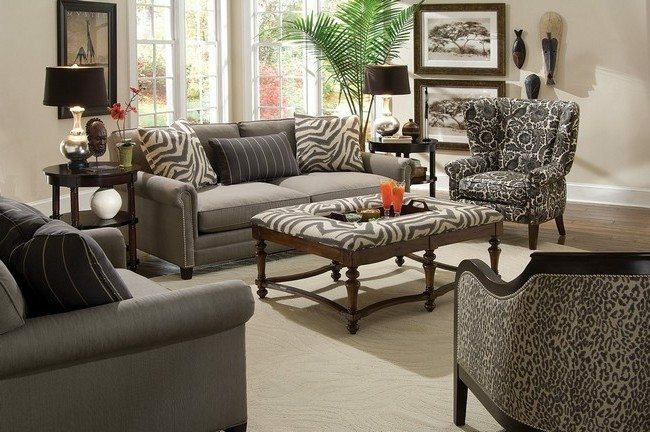 African interior design features fabric with prints, especially animal prints. 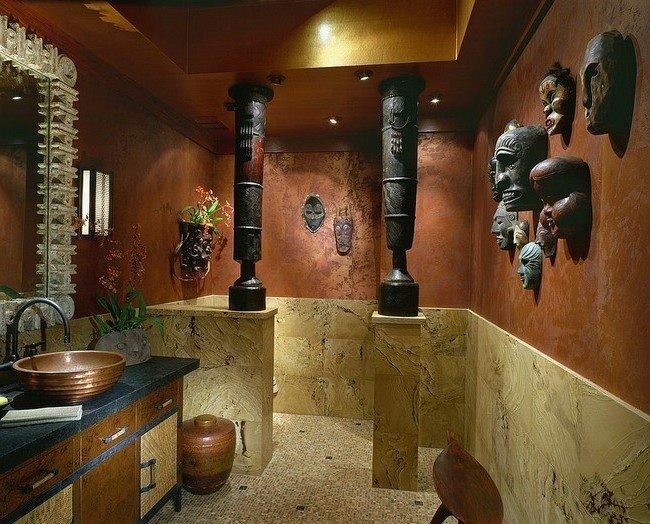 It also features sculptures and figures, mostly made from clay and wood. 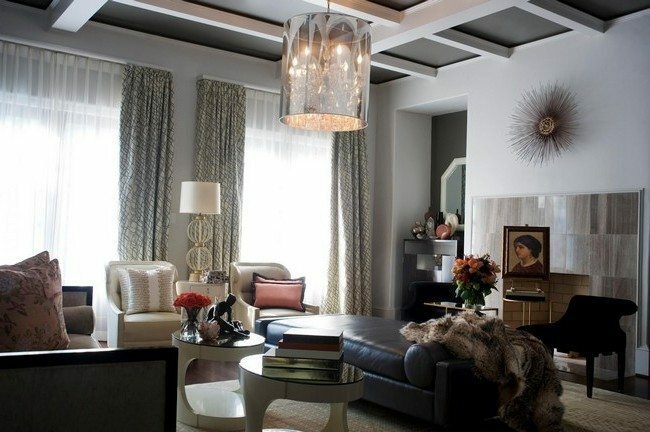 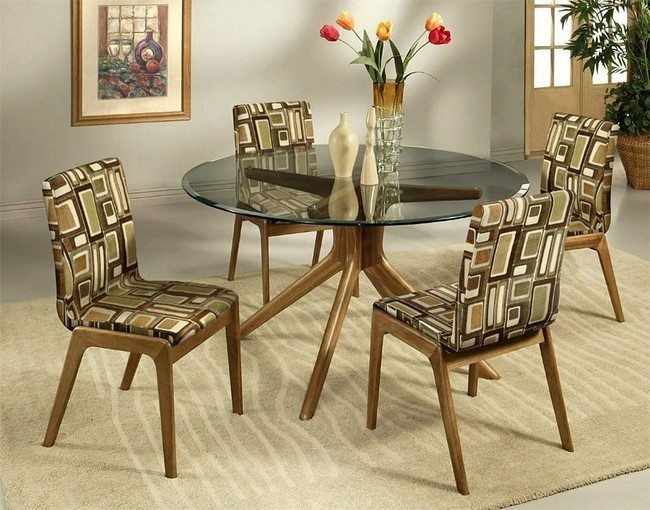 This design style works especially well in the living room and bedroom. 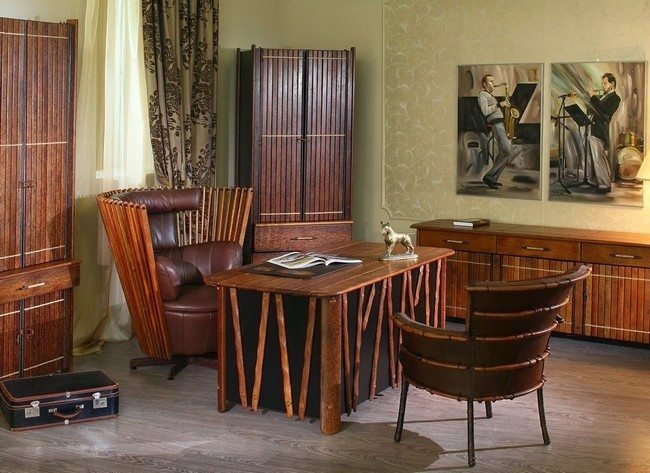 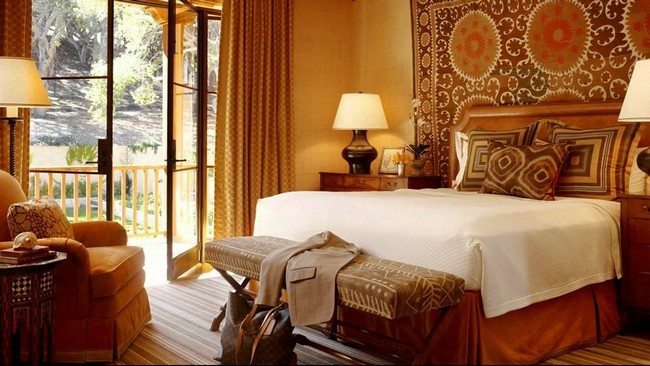 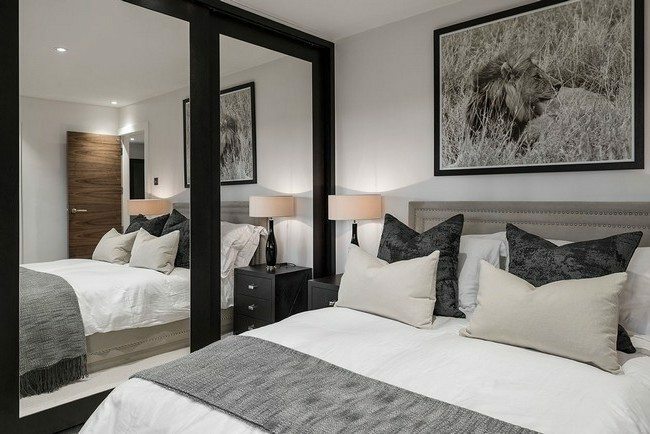 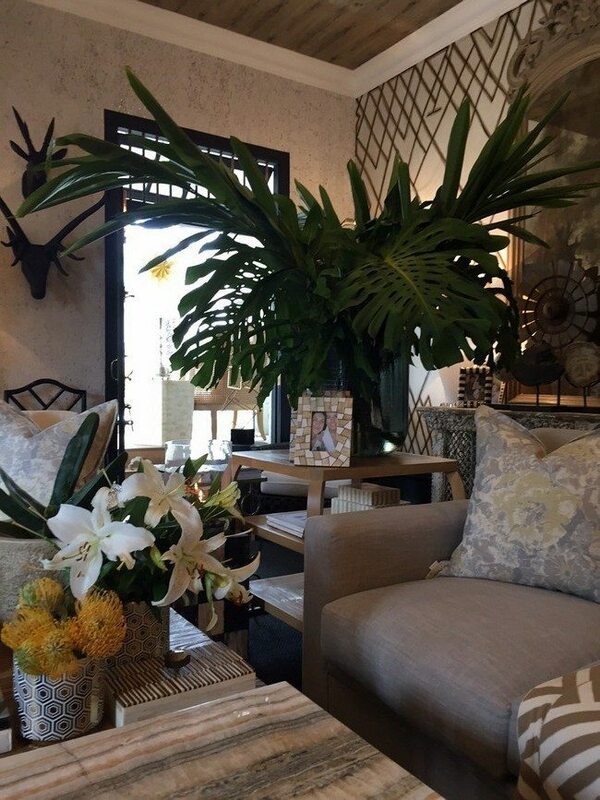 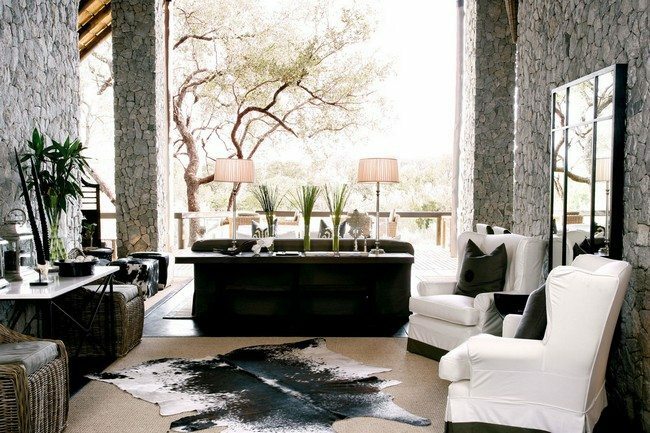 Here are a few ways you can create the perfect African interior design in your home. 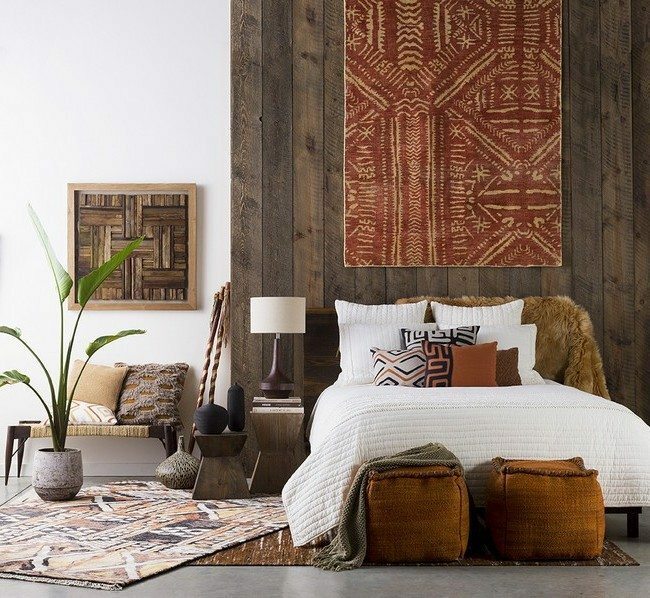 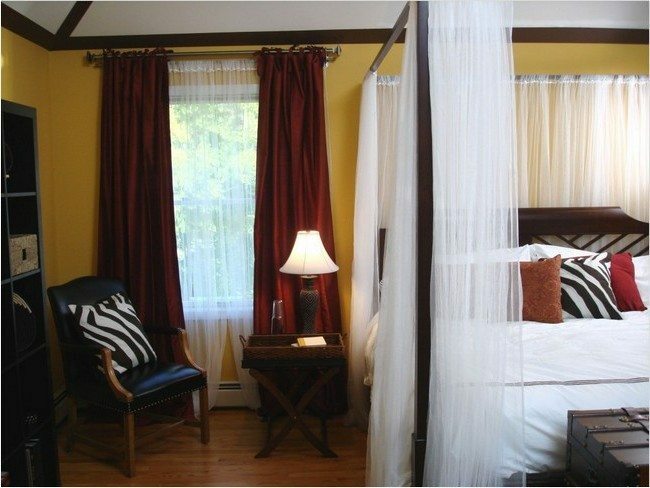 This bedroom features a number of African artifacts; ranging from traditional African drums to wooden chests and face masks pinned on the wall. 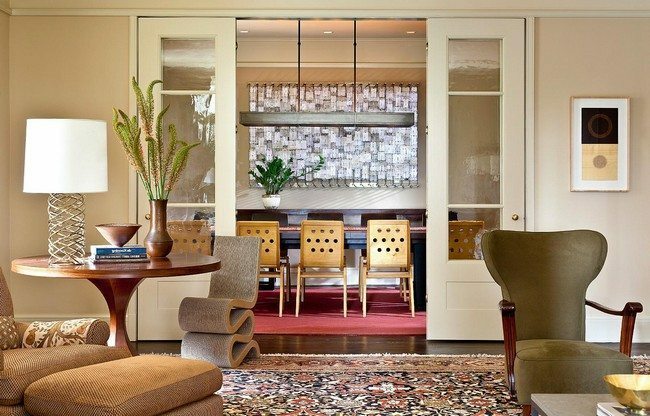 This transitional living room and dining room is the perfect marriage of contemporary Western design and African interior design. 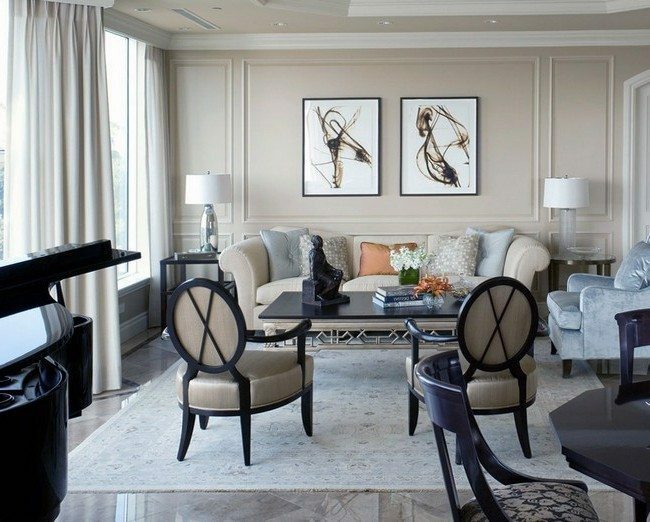 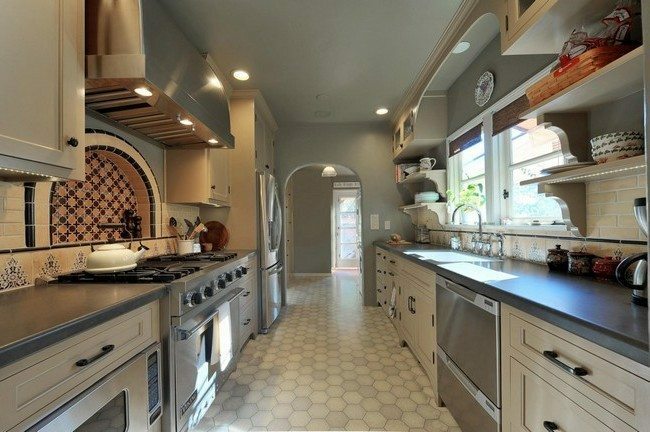 You can get the most of both designs by mixing up the aspects of the design. 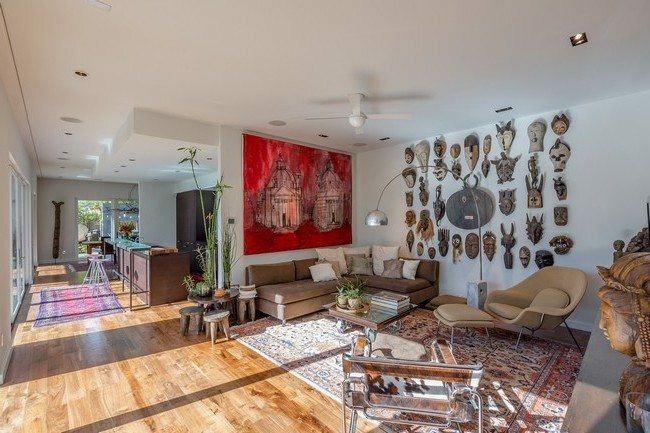 The clay African jars and chairs help bring life to the interior of this home. 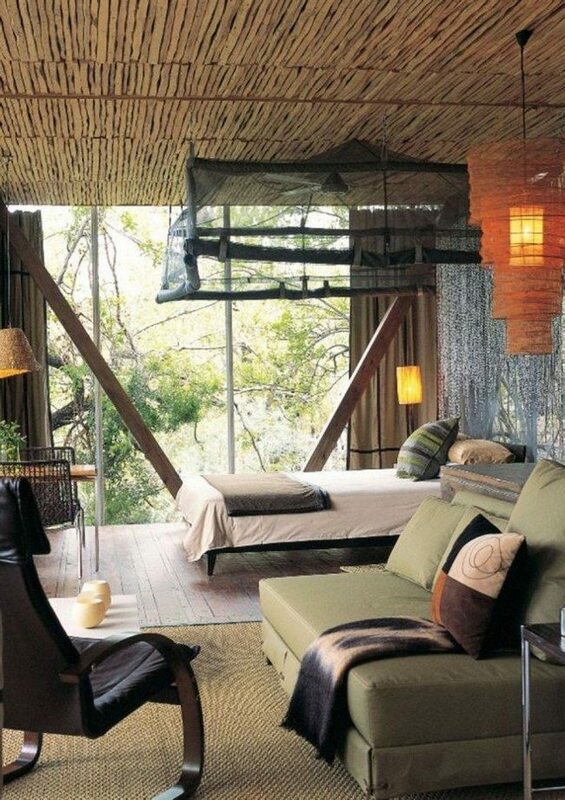 Twigs are a common part of African interior design. 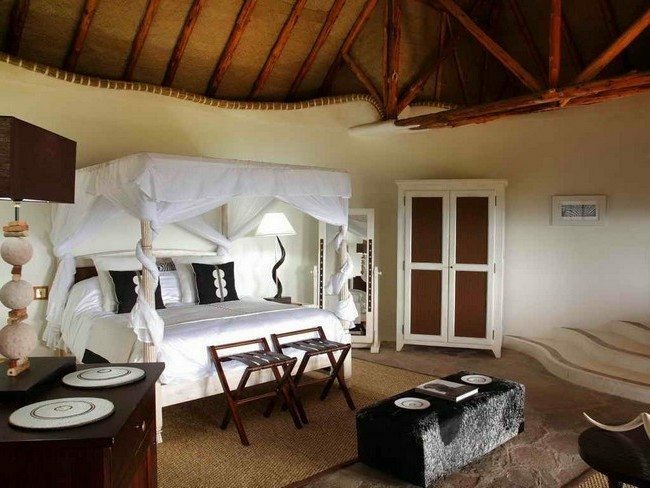 In this bedroom located in the wild, the twigs have been joined together to form the ceiling. 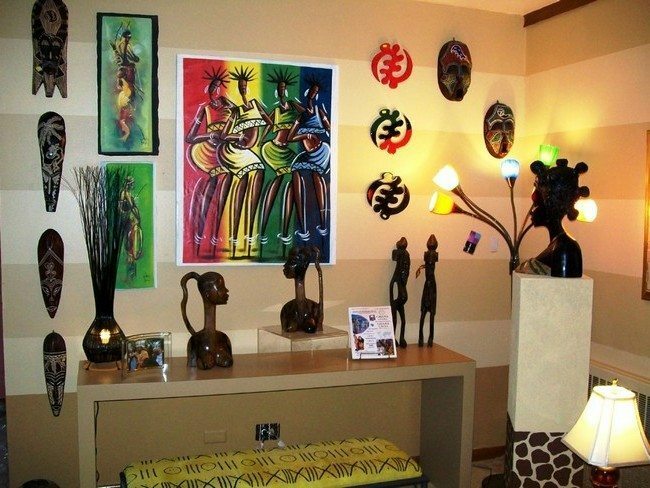 A simple photograph on the wall can do a lot to induce the African charm into your home. 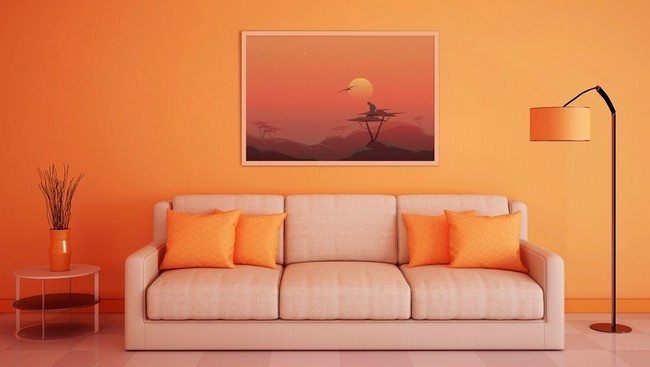 You can use photographs of African sunrises and sunsets, the African wild and portraits of African people and their life. 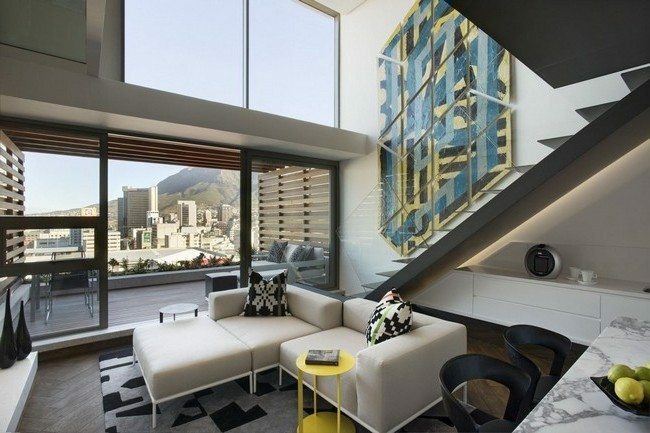 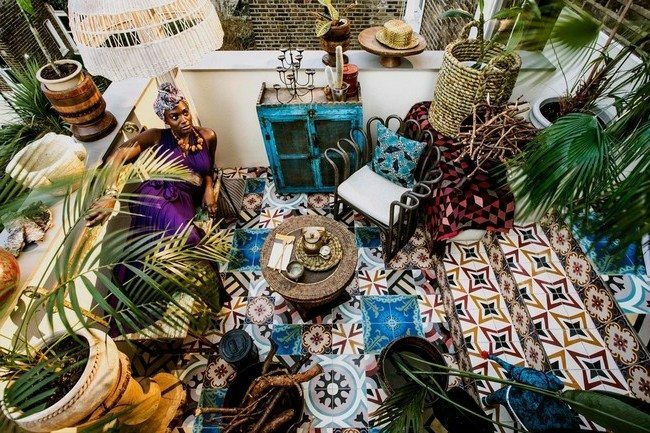 The African interior design should remind you of the outside. 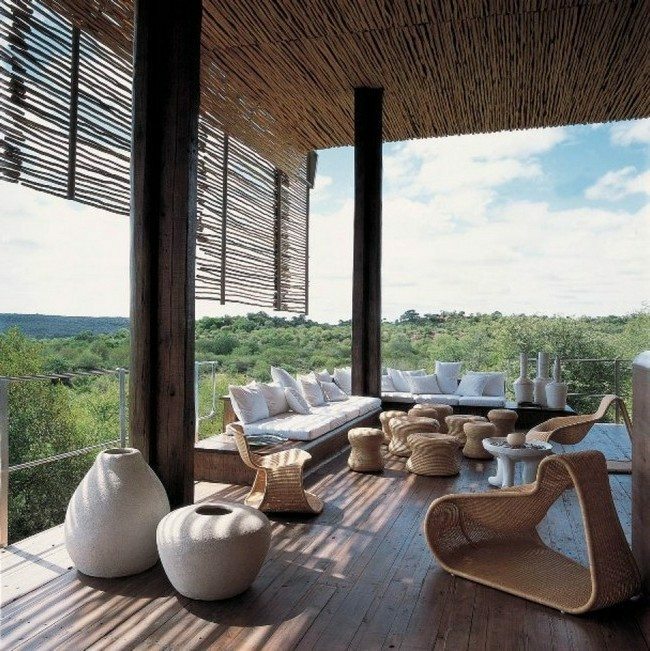 You can feel closer to nature by designing a patio with African décor and a breathtaking view of the outside.